LearnCube: Award winning Virtual Classroom software for teaching online. LearnCube’s virtual classroom is professional, reliable and simple to use. Get started in seconds. No downloads. Brand as your own. Made for teaching. Collaborate simply with a modern online whiteboard for teaching. Draw, type, annotate, load content, switch using multiple whiteboards and more. We see your time as too precious to waste on cheap and unreliable software so we invest in services that ensure the highest quality video / audio possible. 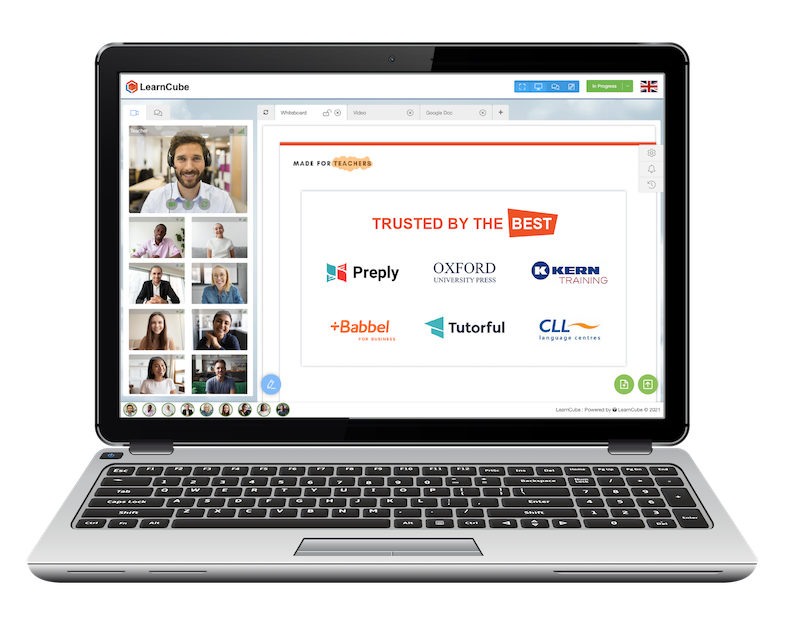 LearnCube delivers quality audio / video simply through the web-browser (WebRTC) so you no longer have to spend time training students on software. LearnCube makes it easy to upload, save and instantly access your multi-media content to enrich and enhance your classes. Teachers and schools see recording as an opportunity to ensure teacher quality and help student review. LearnCube enables you to record your live sessions. Why we built a Virtual Classroom specifically for teaching online. Why online group classes result in better outcomes than 1:1 online tutoring.